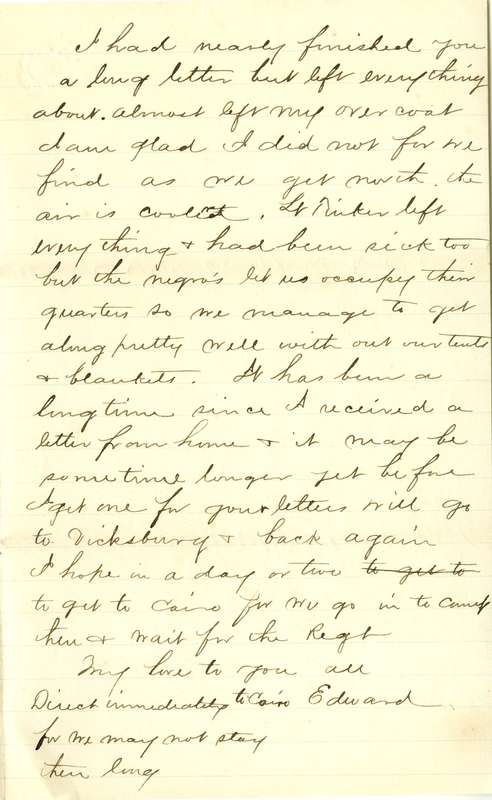 Item Description: Letter, written 14 April 1864 from Columbus, Kentucky, Fort Halleck. 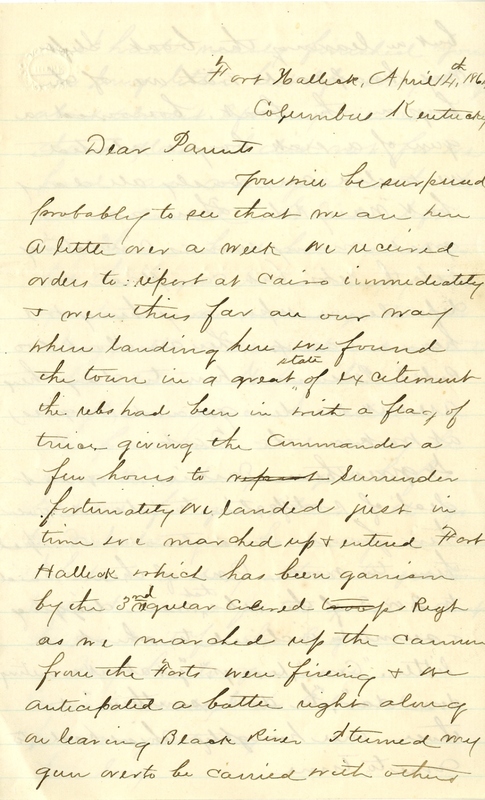 Edward Allen reports to his parents of a failed attempt of confederates to take the fort and African American union troops guarding Confederate prisoners of war. It gives these Darkies a great deal of satisfaction to stand over their former masters and compel them to work. 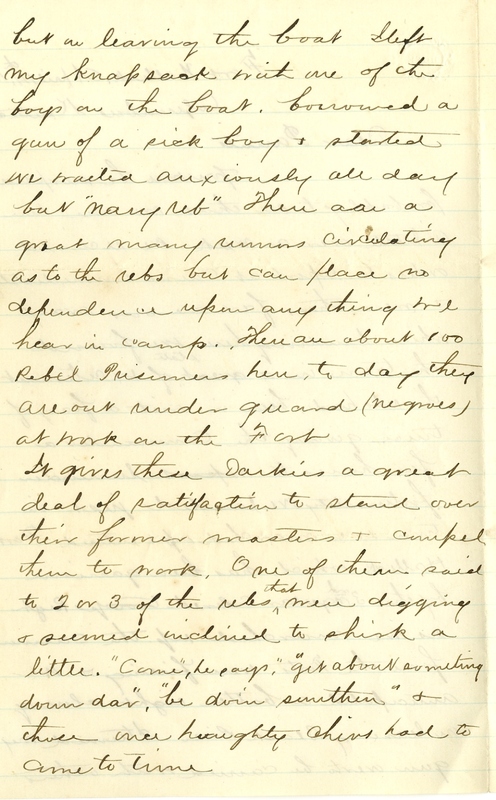 One of them said to 2 or 3 of the rebs that were digging and seemed inclined to shirk a little. “Come,” he says, “get about something down dar”, “be doin somethin” and these once haughty chins had to come to time. This entry was posted in Southern Historical Collection and tagged African American soldiers, Fort Halleck, Kentucky, Rebels. Bookmark the permalink.